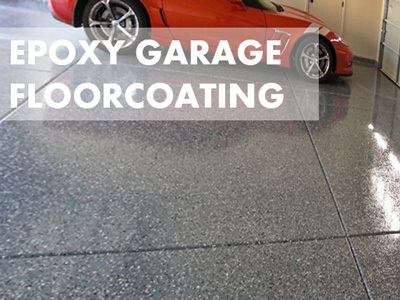 If you are looking for a way to make your garage look more aesthetically pleasing and more than just a place where you park your car, then epoxy garage floor coating may be the answer. This type of garage floor coating gives your garage a touch of auto showroom feel. It can liven up any garage floor’s dull, gray, concrete surface with different colors and color flaking designs. Epoxy coating is not paint. It may be applied like paint but it dries off thicker than normal paint do. Some paints do contain epoxy. These, however, are only about 1 part epoxy and will not perform as well as epoxy floor coating. Epoxy is a thermosetting resin that forms when one part epoxide resin is combined with polyamine hardener. The polyamine hardener is the catalyst that gives the epoxy its strength. This type of coating doesn’t dry out like paint. It cures instead. Before the epoxy hardens into a solid state it passes a gel phase that’s why curing takes time. Once the curing is done, the epoxy will bond to the surface of your garage floor and provide a coating that is thicker and more durable than paint. Epoxy coating makes your garage look more polished and neater. If you are looking to sell your house, it can increase its value as well. Some people prefer to use their garage as more than a place to put their cars. Using epoxy as floor coating can make this space suitable as a home office, an art space, or a workshop. Different colors of epoxy coating will allow you to customize your space and make it look well-maintained. It could be the perfect space for you to run your home business. Depending of what finish you choose, epoxy can make your garage look more spacious and brighter as some epoxy types have light reflecting properties. Most garage floors are made of concrete. Over the years, the floors can have tiny cracks or uneven surfaces. It is understandable that you want to cover these up. Epoxy coating can effectively make your garage floor look more even and cover up the tiny imperfections. 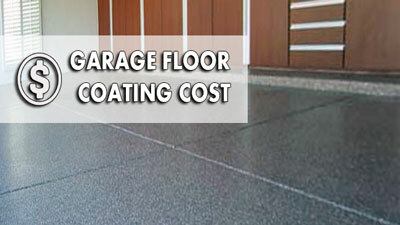 It can even make your garage floor look like granite or marble when you add color flakes on top of the coating. Another benefit of epoxy coating is its strength and durability. The floor coating makes the floor surface resistant to abrasions and resilient to impacts. You don’t have to worry about the chipping whenever you drop a wrench or any heavy item on the floor. This type of garage door coating is also resistant to stains and chemicals. If you happen to spill any oil, gasoline, brake fluid and other car related chemicals, they can be easily wiped off without any problem. This coating material is also moisture resistant which makes it perfect for people who live in places where there is plenty of snow. Cleaning it is also a breeze especially when you track road salts and icy brine from outside during the winter as it is also dirt resistant. 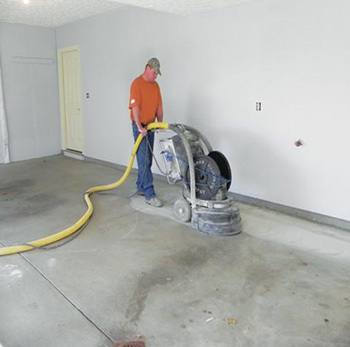 Concrete and cement floors sometimes shed off dust and powder. Over time, this can accumulate on storage areas and garage tools stored inside the garage. It can also accumulate on your car and you might also track it into the house. As topical sealants, epoxy floor coatings are naturally anti-dusting. They seal in any dust or powder that the cement and concrete would have shed if it was not coated. The best thing about epoxy garage floor coating is that it is easy to clean. Use a damp cloth to remove any dirt, stain and dust. It doesn’t need to be maintained as well. You apply it once and it could last 10 years or longer if applied correctly. You can opt to install the floor coating yourself or get a professional to do it for you. Most professional installers would give it 10 to 15 years warranty so you should take advantage of that. Others offer a lifetime guarantee but you have to be prepared to shell out more money. Epoxy garage floor coating is not completely invincible. It has its vulnerabilities too. Welding is one of the vulnerabilities of this highly durable coating. Welding creates burn marks and could potentially melt the coating if the high heat is directed on it. Floors that have too much moisture on them also prevent the coating from adhering to the floor effectively. If the moisture vapor transmission rate is too high, it may cause delamination on the epoxy. Some other concerns about epoxy coating are hot tires. As your car tires spin, they get heated and when it comes in contact with lesser quality epoxy coating, it can soften them. Once the tire cools, it might stick to the still soft epoxy coating causing it to delaminate. Your car tires could also pull on the floor of your garage. To ensure this does not happen, you can try parking your car outside your house for a few minutes or until the tires cool off and then park it inside the garage. Before you apply epoxy as your garage floor coating, you must prepare the surface to ensure proper adhesion between the epoxy and the floor. Preparing the surface might require 1-2 days depending on the condition of your garage floor. Most contractors who specialize in garage floor coatings advise do-it-yourselfers to spend as much time and effort in the prepping of the surface. 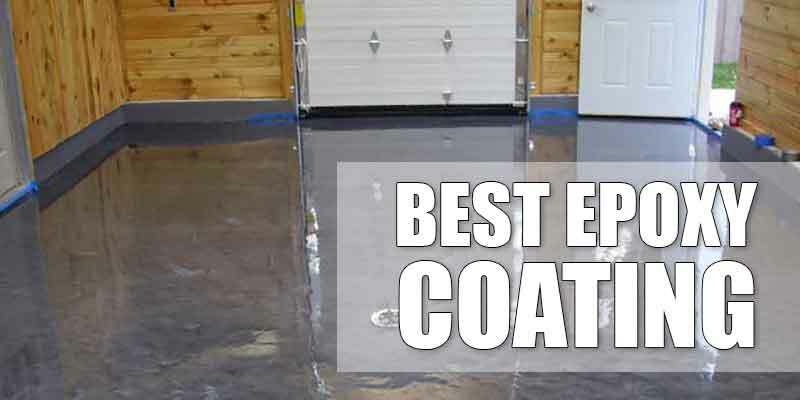 Before you even think about putting epoxy coating on your garage floor, you must test it for dampness. If moisture is coming through from below the surface, the epoxy will not adhere well to the floor. 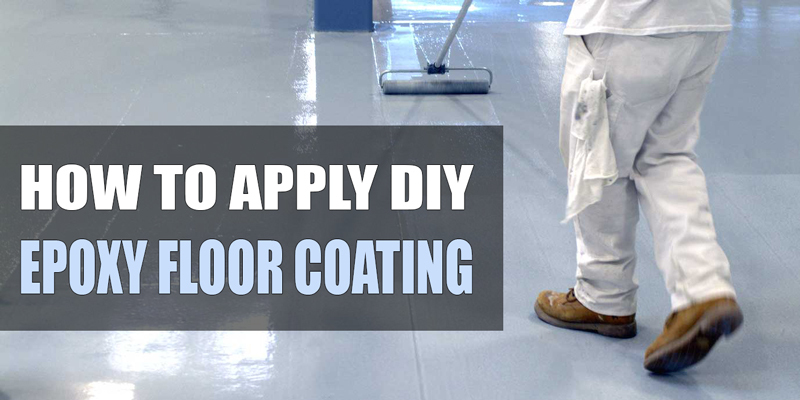 If the floor was treated with a sealant, it also becomes unsuitable for epoxy coating. If it is a newly laid down concrete, it must sit for at least 40 days before you can apply epoxy coating. If it is an old concrete with paint on it, strip the paint from the floor before your apply the coating. Once all these conditions are satisfied you can now begin prepping your garage floor. The first thing you need to do is clean the floor of oil spots and make sure it is free from dirt and chemicals like gasoline, oil, brake fluid and the like. These oils and chemicals can potentially prevent the epoxy from adhering to the surface and could cause problems later on. Run water over the entire floor to ensure that there are no chemical left. Oils usually repel water so look out for areas where water disperses instead of being absorbed by the concrete. Use a degreaser to remove the oils and wash them away with water afterward. The next step is called etching. It is when you apply a mild acid on the entire surface to make the correct concrete surface profile or CSP. Having the correct CSP will make the coating adhere properly to the concrete. Mix the etching acid together with water and mix it inside a plastic handheld sprinkler and sprinkle on the concrete. Even though it is only a mild acid it can still be harmful to your skin so use gloves, boots and goggle when handling the acid. Use a brush to spread the acid evenly as it foams. This process will let you know if sealant has been applied to the floor previously. You can tell if sealant has been applied when the etching solution does not foam. Rinse the entire surface with water until the water comes out clean. The floor should feel like fine sandpaper. Repeat the etching process if the floor does not feel like fine sandpaper. Let the floor dry for at least 4 hours. You can speed up the drying process by using a wet vacuum or a squeegee to remove the excess water. Once the surface is completely dry it is now ready for the floor coating. After all the preparation has been completed, you are now ready to apply the epoxy. But before that you have to identify which product you want to buy. Epoxy floor coating comes in 3 types: 100% solids, solvent based coating and water based coating. The 100% solids harden quickly so you might want a professional to apply this for you. They are also the most durable and most expensive type of epoxy floor coating. These are long wearing and can last a lifetime with proper care and maintenance. These types of epoxy coating are sometimes not available in common hardware stores and might have to be purchased online or in specialty stores. Solvent based coating has 40-60 percent solids and is one of the most common types of epoxy coating. These are generally less expensive than 100% solids but finishes well. The solvents that make up this epoxy can be harmful to your lungs and skin so it is best to wear protective gear when applying them to the garage floor. These are pretty much foolproof so you can safely apply it to the floor using a regular roller brush. Water based epoxy coating are emit little to no toxic fumes and odors making it a great choice for any do it yourselfers. These types of coating also contain around 40-60 percent solids and adhere well to concrete and cement floors of a garage. Both solvent based and water based epoxy coating can be purchased at any regular hardware and paint store. 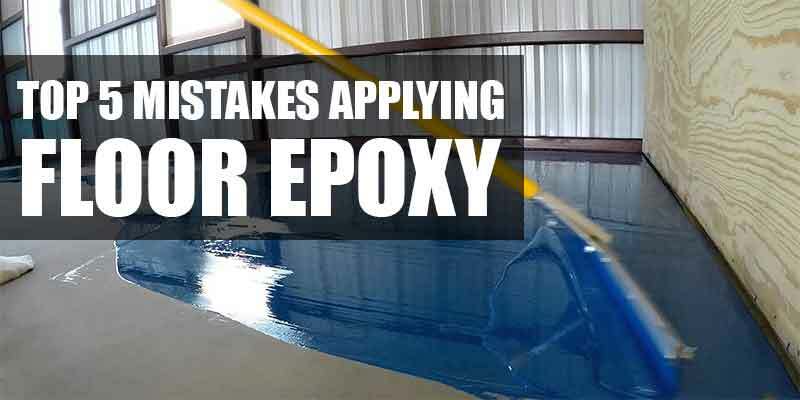 All 3 types of epoxy coating come with epoxy paint and epoxy hardener that needs to be mixed together before applying to the floor. A normal 450 feet, 2 car garage will require 2-3 cans in order to be fully coated. Once you have selected your preferred floor coating product, you can get down and start coating. Select a day when there won’t be too much wind or rain unless you want branches and twigs to get into your garage and ruin the epoxy coating. Open the can of epoxy paint and start stirring the liquid slowly. Pour in the hardener slowly into the can of epoxy paint while you continue stirring. Stir until they are completely blended. Set aside the mixture for 30 minutes to let the chemicals react with each other. If you touch the can where the mixture is simmering it would feel slightly warm. Ensure that you put it on a shady area and not directly under the sun. Do not cover the mixture with the lid. If you must close it, just place the lid loosely on top of the can. After 30 minutes or once the epoxy mixture is ready, apply it on the floor evenly and make sure you use the mixture within 2 hours. This is to ensure that the epoxy will cure properly. 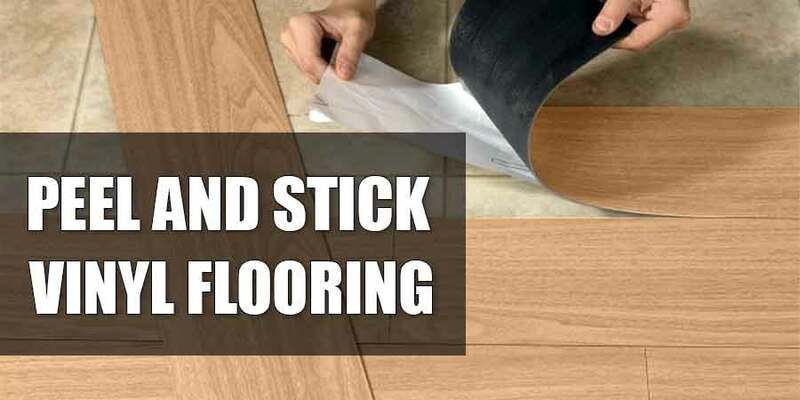 Use a roller brush with extension handle to apply the mixture on the floor. Work quickly from the inner corners of the garage going outward. Make sure that the entire garage is well ventilated and that you are wearing proper protective masks so you don’t inhale any fumes that the epoxy might emit. Apply evenly and let it cure. Apply the epoxy coating in the seams and corners using a 3 inch paint brush. One coat of epoxy painting might be fine for some, but most professionals prefer to have at least two coats, some decorative paint flakes, and a topcoat to give the floor a bit of shine and added protection. 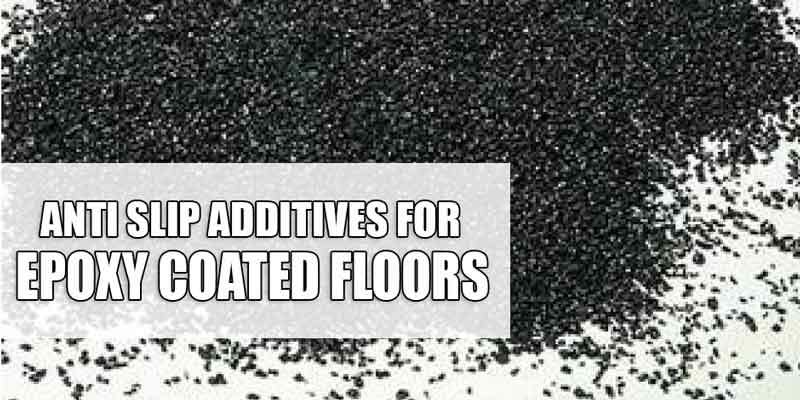 Areas that experience a lot of snow and rain also require an additional anti-skid coating as the smooth surface of the epoxy coating might get too slippery when wet. On the second coat of epoxy coating, you can apply the paint flakes immediately after painting. Do not mix the paint flakes with the epoxy and hardener mixture. Paint flakes make your floor look more interesting and can hide the tiny imperfections on your garage floor. Allow proper curing as much as possible and follow the curing instructions as much as possible. If you are unsure when the epoxy coating becomes completely cured, allow a day or 2 before you walk on the floor or park your car.